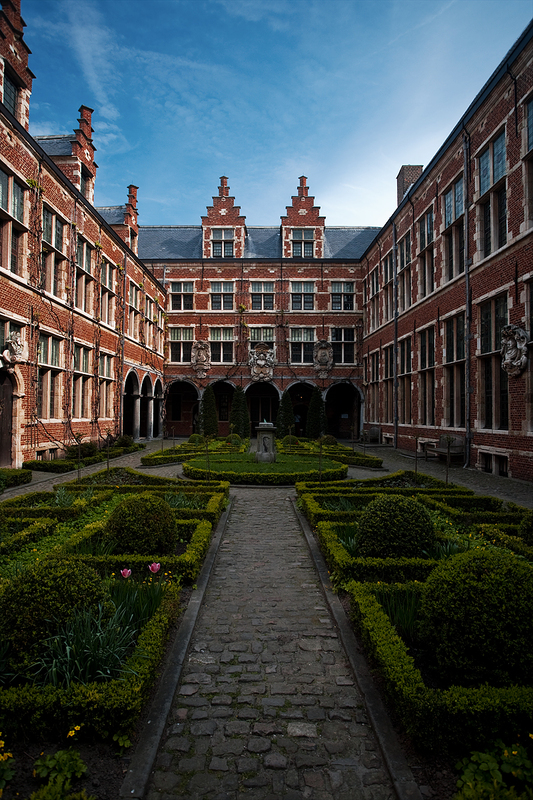 The inner courtyard of the Plantin-Moretus museum. Yesterday we saw the workshop portion of this fantabulous museum. However, that was not the complex's sole purpose. The Plantins and Moretuses made their homes in the same building as well. 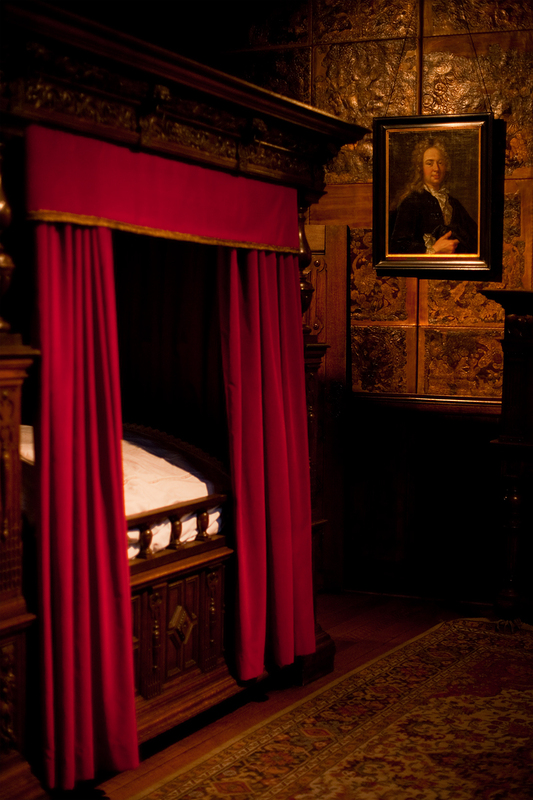 The bedroom of J. Moretus in the Plantin-Moretus museum. If the bed looks a bit wee, that's because it is. The custom in those days was to sleep in a half-fetal position, somewhat similar to sitting in an imaginary chair. It was thought that this position improved digestion. The thick curtains provided an enclosure to trap the sleeper's body heat during the cold winter months. 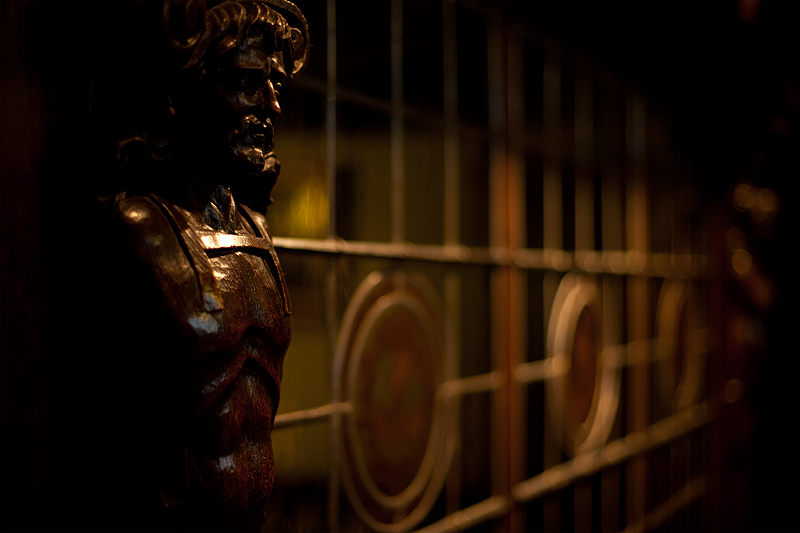 Ornamental wall carvings in the Plantin-Moretus museum. This printing and publishing house essentially dominated the trade once it was granted the monopoly by the ruler of the time, Spain's Philip II, for the entirety of the Spanish empire. The technical term for the amount of wealth accumulated would be: filthy stinkin' rich. Evidence of their wealth is seen through the entire complex, including some gorgeous P.P. Rubens portraitures and intricate ornamental carvings such as the ones exhibited above.